Rep. Joaquin Castro, D-Texas, says he's "tuned out" President Trump as he focuses on supporting local and state officials in their efforts to provide shelter and safety to those currently feeling the impacts of Hurricane Harvey. "A lot of work going on has had to do with the governor, local officials, ordinary citizens and volunteers who have given so much in trying to rescue people, that to me, that's most of the important work that's happened," Castro told CBSN on Thursday. He added, "I don't mean to be rude or curt to the president, but a lot of important work has happened along Texans locally" noting that he was glad Mr. Trump was able to act quickly in declaring Texas as a disaster area. As displaced residents have been forced out of their homes and into shelters, Castro is now urging Texans, if they can, to file their insurance claims for Harvey relief as soon as possible as a deadline looms in the state legislature. Texans: be sure to file for #Harvey relief before Sept 1. #TXlege passed a bill making it harder to dispute weather-related property claims. Castro explained that the Texas state legislature has recently passed a bill, HB1774, which goes into effect on Friday, that makes it harder for homeowners to collect from insurers on weather-related property claims and provides some protections for insurance companies against lawsuits from policyholders unhappy with slow or lowball payouts or denials of their claims. Currently, only 20 percent of Harvey's victims of the devastating storm have adequate flood insurance to cover the costs of damage. The Texas Democrat said of the new law that it "stacks the deck in favor of insurance companies." "This will have an impact on thousands of claims among those affected by Harvey," said Castro, adding, "If you can do it safely, try to file by September 1." 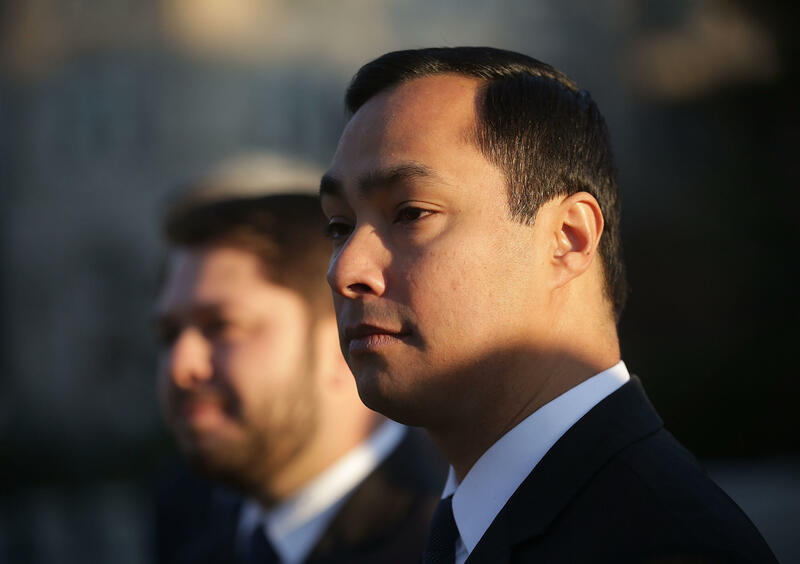 With the National Flood Insurance Program Authorization's expiration coming on September 30, Castro called for an expansion of flood insurance, which he said "needs to be made more widely available." His comments come as a political debate over hurricane relief funding is reviving past disputes over votes on funding packages that provided aid for victims of Hurricane Sandy. Texas Senator Ted Cruz has come under fire the past few days over his claims that two-thirds of the Sandy relief bill had "nothing to do with Sandy" and instead was filed with "unrelated pork." "Every Texas Republican in Congress supported giving aid to the people of Sandy, to the victims of Sandy, all of us spoke out enthusiastically in support if it," said Cruz of the relief bill on CBSN on Tuesday, which he maintains "got loaded up with 70 percent" of non-emergency aid. Castro is hopeful that all of his colleagues in Congress will support an aid package for Texas. "I hope Congress learned its lesson from that divisive debate that we should put politics aside and support Americans when they're in dire time of need," he said. Lawmakers are now considering a bill that, for the moment, would cut relief funds in order to help pay for Mr. Trump's border wall funding. That's expected to change when Congress returns, and Castro says he'll be watching closely. "I hope that in terms of a supplemental package, there's no games played by the president or any other legislators," said Castro. He noted however, "watching Congress over the past few years I know they'll try to stick things in a bill that are unrelated," adding, "Border funding shouldn't be mixed in with any kind of aid package."